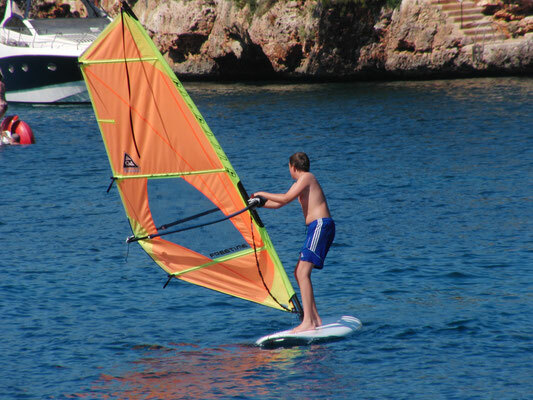 The windsurfcenter Cala d'Or is the ideal place to learn and practice windsurfing. Beginners and advanced windsurfers will enjoy our little bay. 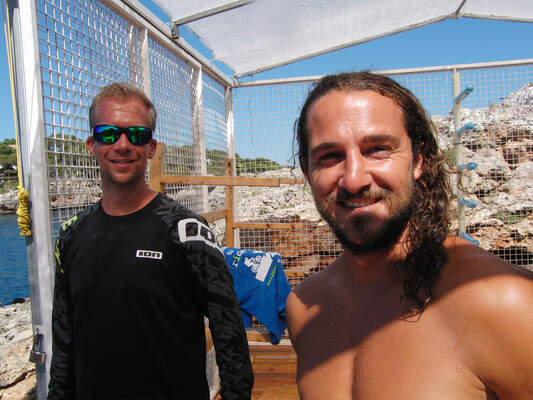 The inner part of the bay is both protected by the waves and too strong winds and the perfect surrounding for the first attempts on the board. 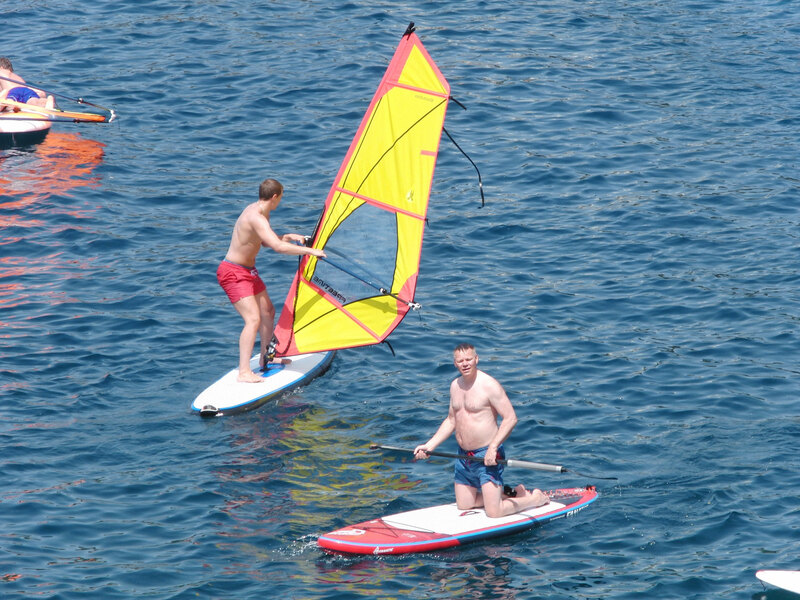 The outside part of the bay gets much more wind and on the open sea you are ready to fly. Depending on the part of the season the weather and wind is more or less easy to predict and reliable. During the summer we usually have a thermal breeze in the afternoon with an average of 2 to 4 Beaufort. Windsurfing tuition is our favourite discipline. You can participate at our courses from 9 years of age. 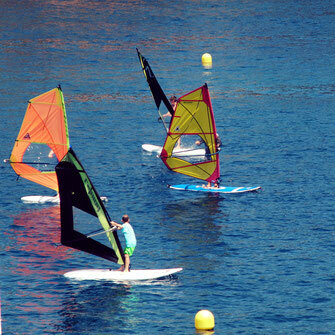 The perfect equipment for everybody makes it easy to achieve a succesfull start in your windsurf life. We offer courses starting weekly, for beginners, intermediates and advanced windsurfers. Take 3 days of your time and learn windsurfing in the summer 2018! You 'll never forget; it's as all balance-activities, cycling etc. By the way... we offer bikes as well. 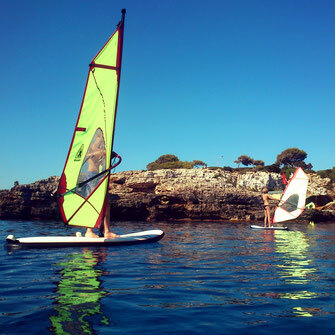 We are specialized in windsurfing tuition! In 2018 we are having 20 years of experience and that influences all of our lesson. Windsurfing is an activity where you never stop learning, thats why we ourselves still enjoy it that much after all those years. But this process stops for many windsurfers in schools with far to big groups and not matching equipment and it gets boring... not with us! Word! We teach in groups of max 5 people and split and reorganise groups as soon as we observe different demands and even offer individual lessons if required. 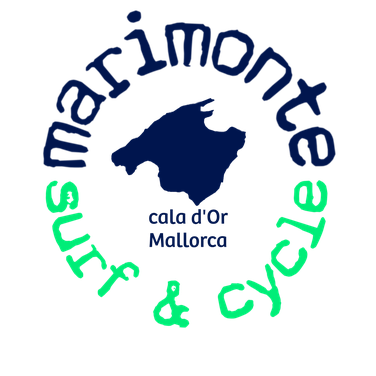 After the course you can arrange to continue practicing during your stay for a fix price, of course under supervision of the team. We don't let anybody "alone" on the water, if any questions come up we will be there. 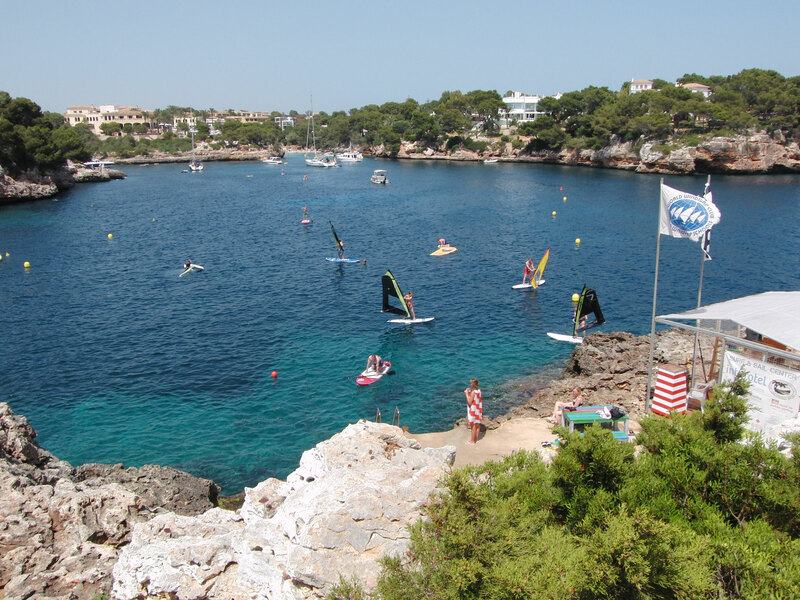 Because of the special location of the school with its two safe bays plus the additional option to surf on the open sea we offer windsurfers of all skills the right training environment. Right in front of the surfschool we are doing the first exercises and steps on the board. The wind is soft, there aren't many waves and we are close to the school. The inner part of the bay is where most of the lesson is taking part. It's not as windy as on the open sea and we hardly have any waves- and you are not further away from the land than a couple of hundred meters/yards. In case of any trouble we are with you within a short moment having our rescue boat always ready. For the ones that are more experienced we have the outside part of the bay. Beside the fact there is less waves and boat traffic the wind is most of the days the same as on the open sea. From an age of 9 years and some decent swim skills you can participate at this course. 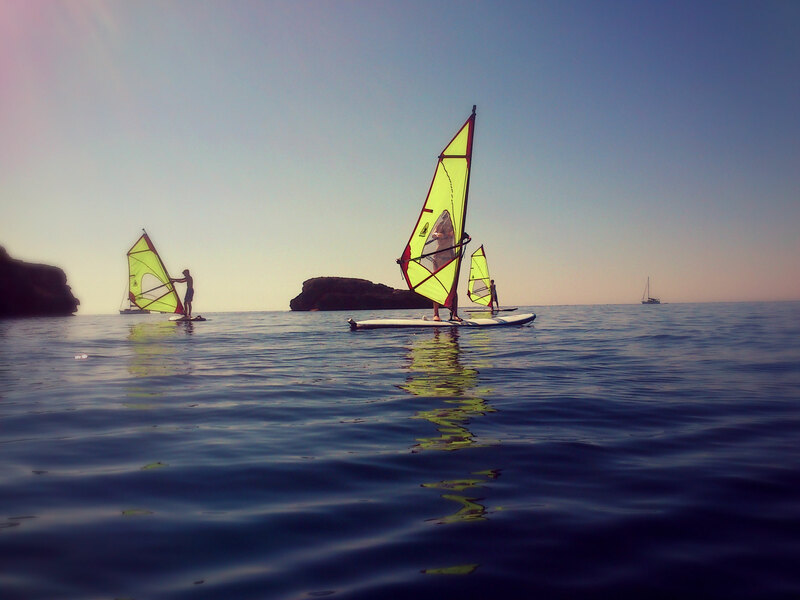 Goal is to be able to windsurf after the three days. The groups are with maximum 5 participants. Within just four days you can make your international windsurfing licence. Beside many excersises and trainings on the water the course contains as well some theory units (meteorology, right of way, safety and equipment).